Ideas and plans you will find on this site are the results of a team. Below we will introduce the team. Michiel Haas was born into a Theosophical family in Utrecht, the Netherlands. As a small boy he often came to the International Theosophical Centre in Naarden because his parents owned a small wooden cabin there. He studied architecture in Switzerland. After his studies he worked a few years in different countries, before settling in the Netherlands again. For ten years he ran his own architectural firm and nowadays he is partner and founder of a consultancy and research institute called NIBE, which takes care of, and deals with sustainable and healthy buildings. He is retired as a university professor, but is still full-time working for his consultancy. Michiel was approached by International President Tim Boyd to come to Adyar, asking him if he would be willing to assist in developing plans and ideas for the renovation of the Adyar estate. The King of the Netherlands, Willem-Alexander recently honoured Michiel by knighting him in the order of Oranje-Nassau, a title similar to Sir. Helma Kuit is the partner of Michiel; she became a member of the TS after they got married. Helma was also born in the Netherlands, coincidentally also close to the International Theosophical Centre in Naarden. She is a psychologist, has her own practice and for NIBE she is Michiel’s co-worker. She is the treasurer of the Centre in Naarden and is also involved with the renovation project of the Adyar estate. 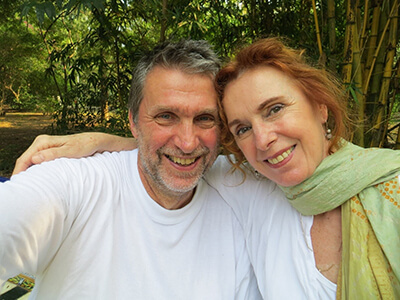 Helma and Michiel live just around the corner from the International Theosophical Centre in Naarden, the Netherlands. Manoj is a core team member of the design studio MAYA & MANOJ. After a rather tumultuous and abysmal attempt at mastering a science degree within the existing structured academic curriculum, the doors to the Building Construction Department of Sri Aurobindo Ashram, Pondicherry opened; the next two year period being filled with intense exposure to a hands-on Building Technology programme. Another three years of internship at one of Chennai’s leading Architectural firms, Chitale and Son, time seemed appropriate to settle down and establish an independent practice, and in the year 1988 the firm of MAYA and MANOJ was established along with his wife Maya, the architect. Now, almost three decades later, an immense amount of knowledge and experience has been accumulated, with knowledge in the field of spatial design, interior design including furniture designs. This knowledge and experience is being utilized towards the service of humanity in general. A point to be highlighted at this juncture is the interest and passion for restoration of old structures, be it a century old family home with irreplaceable memories, or a history sodden public library. With present involvements in Health-Care Infrastructure creation, including specialized verticals in healthcare, and Appropriate Housing Technology, the regular architectural and inter design consultancy continues. He is a second generation Theosophist and a designer by profession. 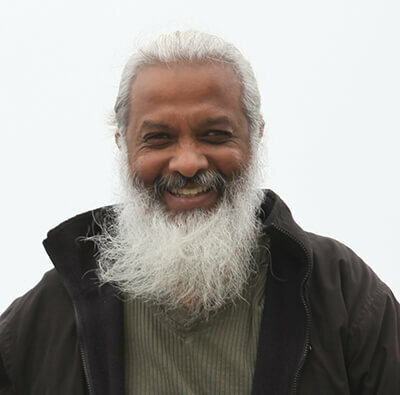 The daily walks around the campus always filled his mind and heart with the desire to reinvigorate the premises by renovating and reenergising existing built spaces, physically and spiritually, considering it an offering to the cause of Theosophy. Manoj is the local architect working on the renovation of the Adyar estate.